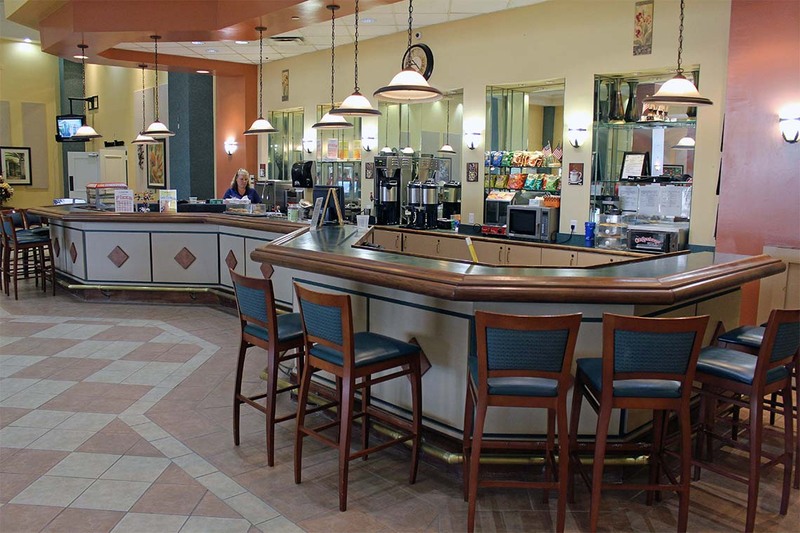 Le Perk Café is located in the heart of the Main Clubhouse. Between the hustle and bustle, it’s a great place to go for breakfast or lunch. Bagels, muffins and pastries are a delicious complement to your morning coffee. We offer a variety of breakfast sandwiches. 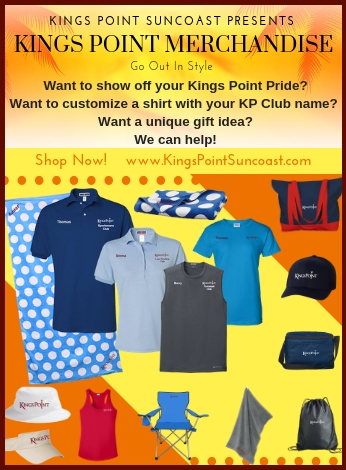 Read the newspaper or the latest edition of the Kings Point publication, “The Pointer” before you begin your day. At lunch time, you can find savory soups, fresh salads, deli sandwiches and wraps along with the popular Philly cheesesteak and Cuban sandwich. Our café staff is trained in food preparation, and all of our sandwiches are hand-crafted, made to order and sure to please any palate. There’s never a dull moment inside the clubhouse. Talented residents often perform throughout the week while you’re dining at Le Perk. Cruise up in your golf cart and pop in for Taco Tuesday every week. Whether you’re playing billiards, swimming at the pool or dabbling in the art room, come grab a tasty treat from Le Perk Café. 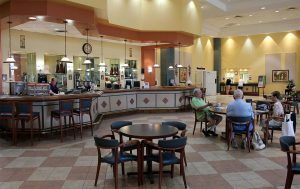 The café is the perfect spot to grab some snacks before a movie in the Veterans Theater or a watch party for sporting events. We serve fresh warm Otis Spunkmeyer cookies and freshly popped popcorn on movie days. Cool off from the hot Florida sun with a scoop of ice cream. We also have soft drinks along with tea, water, juice and hot chocolate. Try our classic pepperoni and cheese pizza big enough to share or buy it by the slice. If your appetite is craving some comfort food, heat up with our homemade chili. 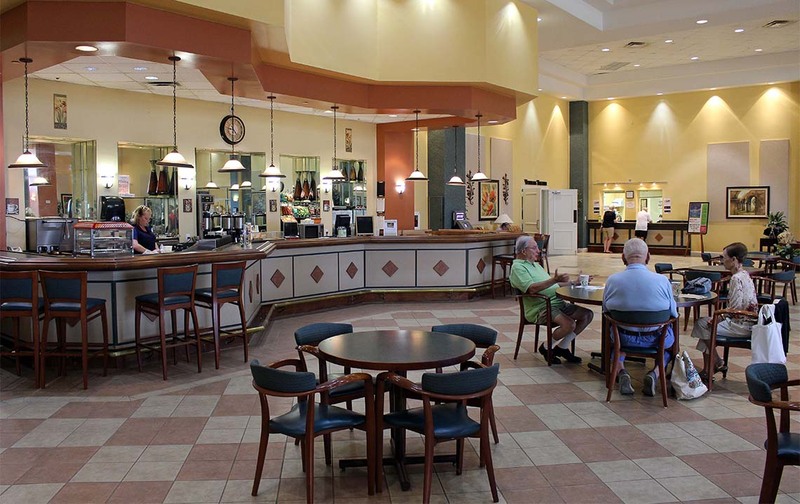 Grab a quick bite for the road before you head off for one of our active adult field trips that depart from the main clubhouse. Join us at Le Perk Café, a great place to socialize with friends and meet new people.